Barr. 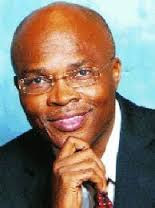 Kenneth Imasuagbon was born on May 4, 1966. He hails from Ewohimi Community in Edo State. He is a former Peoples Democratic Party (PDP) Governorship aspirant and educationist. He Obtained a degree in Law from the prestigious University of Ife (now Obafemi Awolowo University). Kenneth Imansuangbon is a lawyer, politician, busi­nessman, philanthropist and the chairman, of Abuja based Pace Setters Group of Schools. He is a principal partner at Imansuangbon and Co. Company, a legal firm he founded. He worked as a technical assistant in training at the Federal Capital Development Authority (FCDA)in the early 1980s. It is worthy to note that Barr. Kenneth Imasuagbon is popularly known as the Rice Man in Edo State, due to his annual philanthropic acts of rice sharing to the indigent in the state.